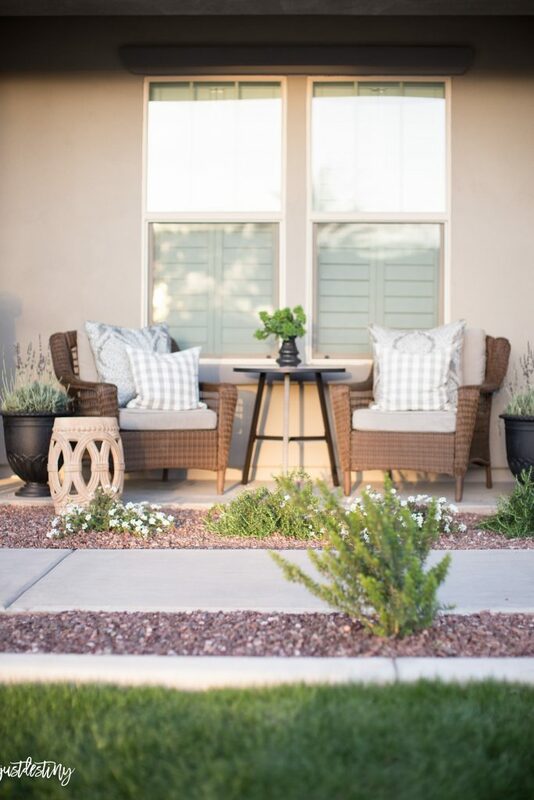 I’m back today with a spring porch update with the help from my friends from Better Homes and Garden Walmart! 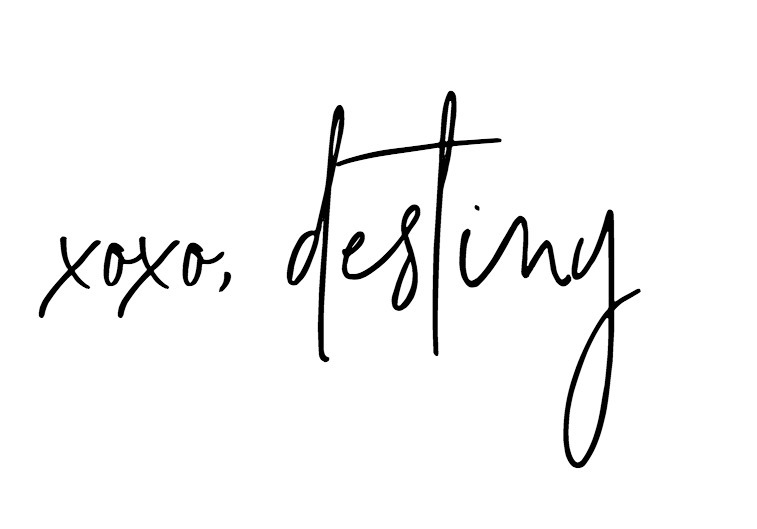 Every other month here on Just Destiny, I use BHG products to update big and small places around our home! Check out some of our updates here. 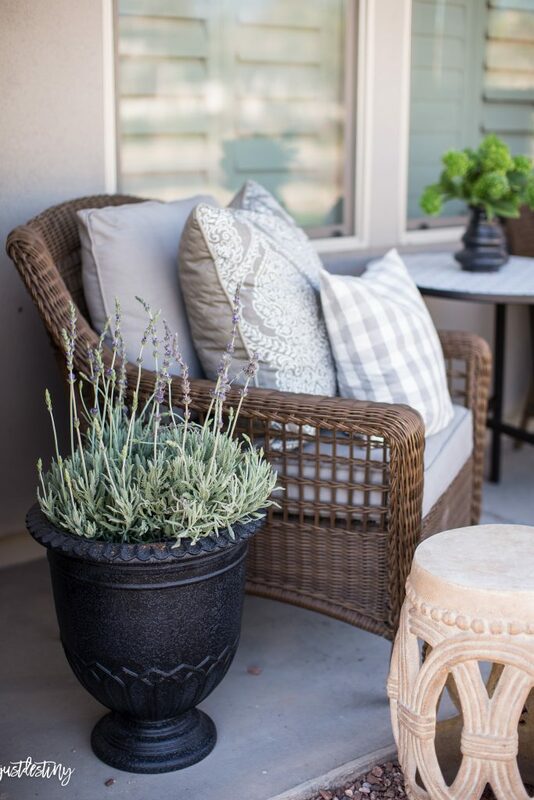 Our front porch is a small little area right off the main door that is big enough for a couple of chairs and a small table. We have a great time sitting out here people watching, connecting with neighbors and watching the kids. My husband loves sitting in the front yard so we are out here often! To start we already had two comfy chairs and a small stool for drinks. I decided to add a few planters, pillows and a bigger table for a more comfortable sitting area. 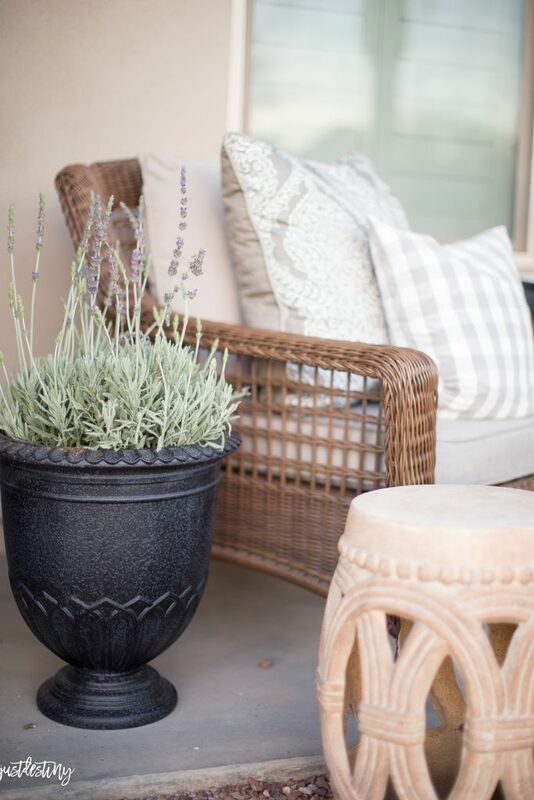 These Better Homes and Garden planter urn in black are a great addition to the space because it allows us to enjoy some natural plants and adds the beautiful scent of lavender to the space. 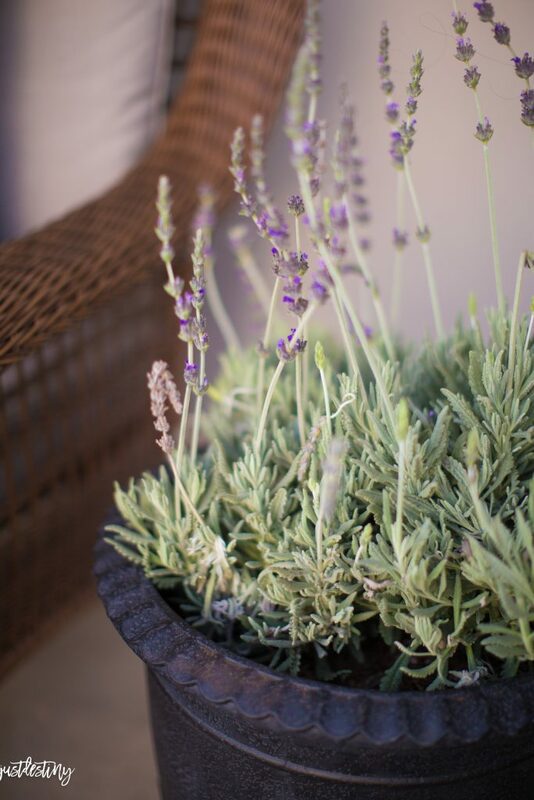 English lavender is one of my favorites and I’m hoping the full sun will let them flourish in this spot! 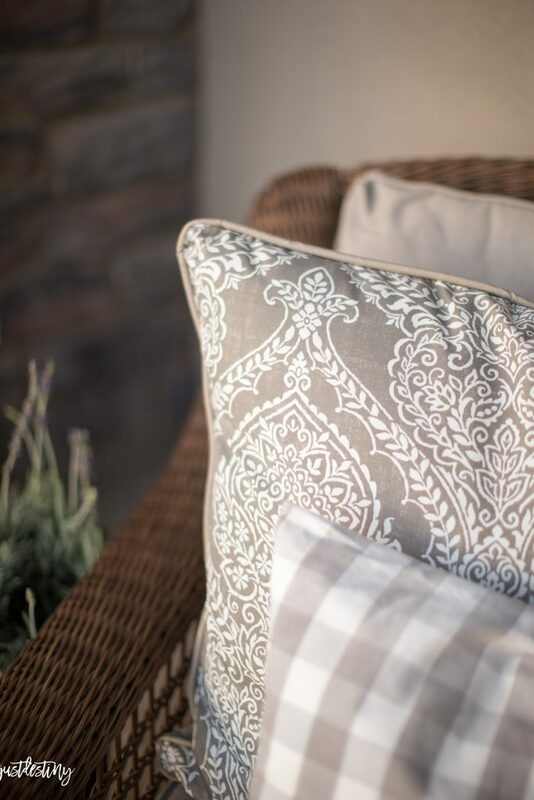 Gray damask back pillows add some wonderful texture and pattern. They also have the smaller pillows but I loved the option of using the bigger ones for the grass as well. We love to lay in the grass during the spring. 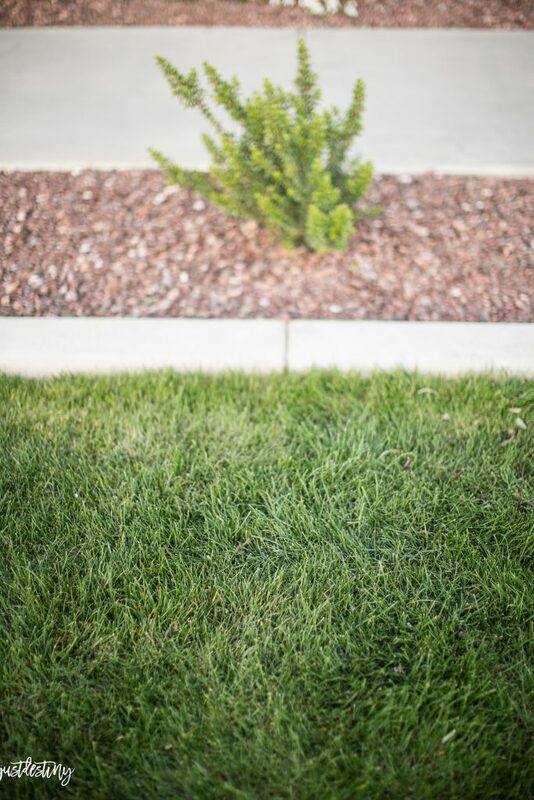 Our winter rye is lush and perfect for laying out and doing cartwheels. 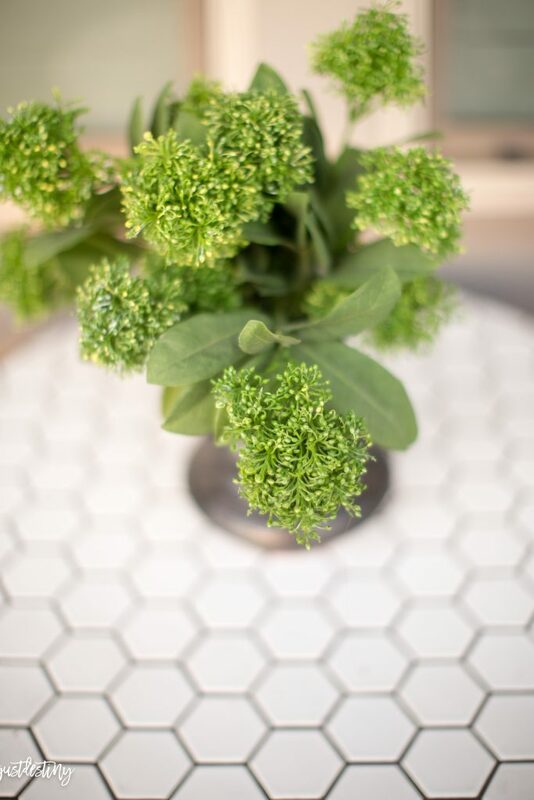 My favorite addition is this very affordable Farmhouse Mosaic table with a hexagon tile. 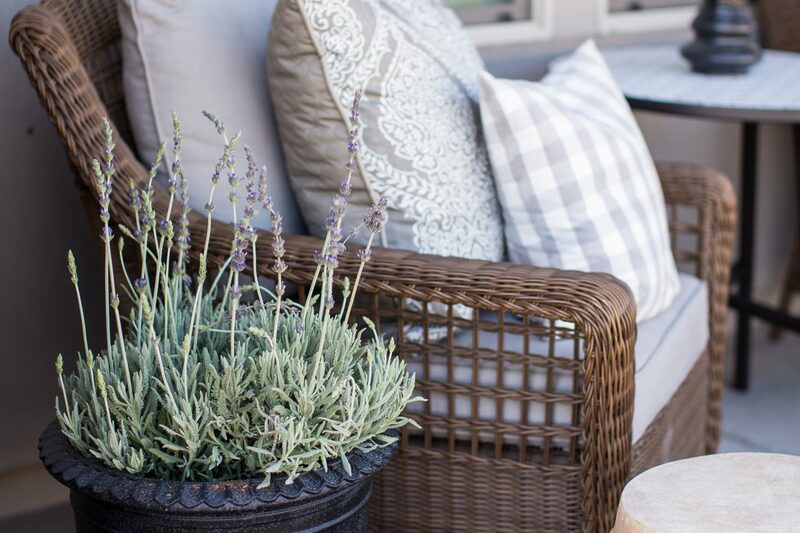 Great for setting drinks or magazines on while we are outside! 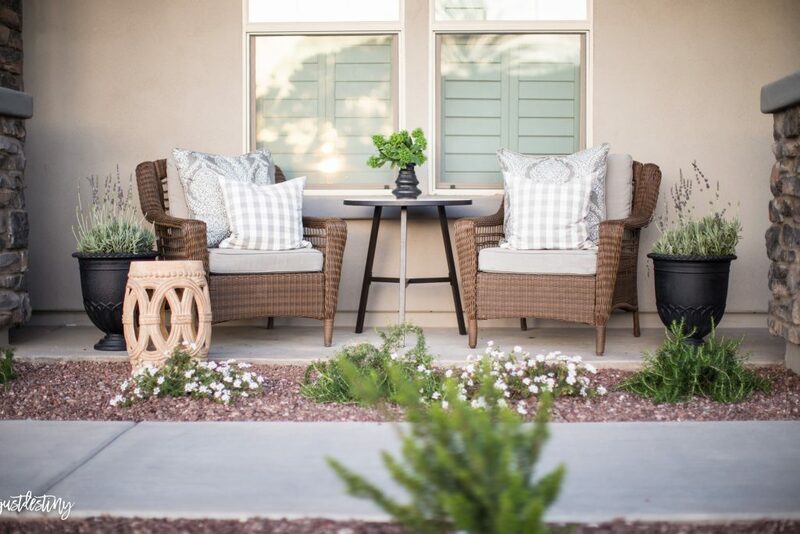 Looking forward to enjoying this space with my family this spring!